Zalando SE (“Zalando”), with registered address at Tamara-Danz-Str. 1, 10243 Berlin, registered at the Amtsgericht Berlin (Charlottenburg) under HRB 158855B. is hosting a competition, with the Irish Tatler, to win a 500 EURO Gift Voucher. The competition period is from the 4th March 2019 to the 10th April 2019 (the “Contest Period”). Participation is free of charge and participants are not required to make a purchase to enter. Neither making a purchase nor subscribing to the newsletter will increase a participant’s chance of winning. In order to participate in the scholarship competition, entrants must Complete the entry form at https://irishtatler.com/win-a-shopping-voucher-with-zalando by answering how many brands can be found on Zalando, supplying their name and email address. The winner will be selected internally by Irish Tatler and will receive a 500EURO Gift Voucher for use on Zalando.ie (the “Prize”). The winner will be notified within 2 weeks after the end of the competition period. By entering the competition, participants agree that Zalando is entitled to publish their name on the website www.zalando.co.uk, as well as on other Zalando websites, social media profiles and/or third parties websites. Entrants must be full of age (18 years or more) and resident in Republic of Ireland and must provide their details completely and in full. Each entrant may only enter once. Employees of Zalando are excluded from participating in the competition. If the terms and conditions of participation are breached, Zalando reserves the right to exclude individuals from the competition. Individuals who have made use of unauthorized aids or other kinds of manipulation to gain an advantage will also be excluded. In such cases, prizes may also be rescinded and recalled, if necessary. 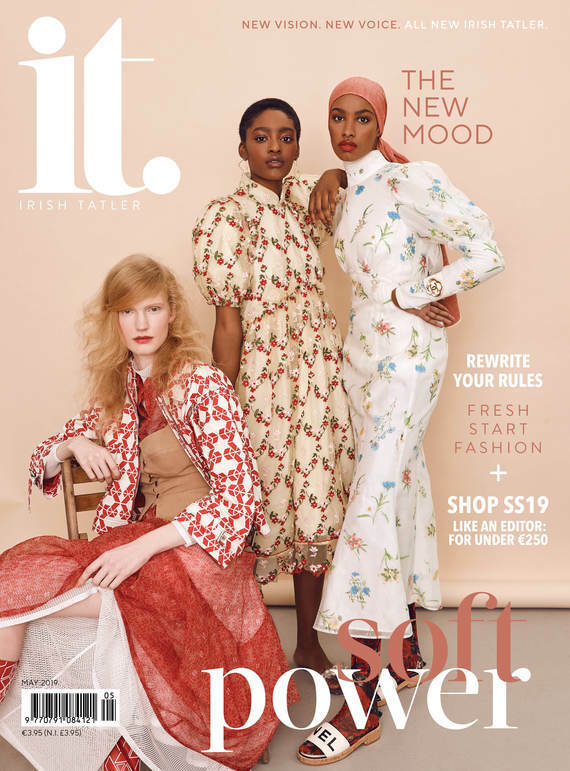 Entrants must Complete the entry form at https://irishtatler.com/win-a-shopping-voucher-with-zalando by answering how many brands can be found on Zalando, supplying their name and email address during the Contest Period. The winner will be randomly selected from all entries providing the correct answer to the question “How many brands can you find on Zalando?”. Irish Tatler will inform the winner in writing (email). Zalando and Irish Tatler reserve the right to transfer the details of the winner to third parties in order to arrange delivery of the prize. If the winner does not respond as requested within two weeks of publication of the win, their claim to the prize will lapse and a new winner will be. The entrant is responsible for the accuracy of the email/postal address provided. Winning claims cannot be transferred to other individuals. Zalando reserves the right to terminate or end the competition at any time without warning. In particular, Zalando will make use of this, if, for technical reasons (e.g. viruses in the computer system, manipulation or errors in the hardware and/or software) or for legal reasons, correct administration of the competition cannot be guaranteed. Should such a termination be caused by the conduct of an entrant, Zalando may demand compensation from this individual for the damages. Your personal data will be stored, used and processed exclusively for the participation, administration and processing of the competition and in accordance with legal requirement for data protection. Personal data will not be passed on to third parties that are not linked to the organization of the competition. On request and free of charge, Zalando will provide each entrant with information on all personal data stored by Zalando for the purposes of the competition and upon request will destroy this data immediately and free of charge. An informal message to Zalando SE, Tamara-Danz-Str. 1, 10243 Berlin, Germany, will be sufficient for this. The competition participant explicitly agrees to the storing and use of their shared personal data for the purpose given above. The entrant is solely responsible for all content created by them for the purpose of the competition. No content being either illegal or breaching the applicable terms and conditions which apply may be entered, nor such content that is intended to insult, slander, bother or otherwise harm other individuals. Upon initial request the entrant releases Zalando and any legal subsidiary companies from all claims raised by third parties against Zalando, that the content communicated by the entrant injured their rights or breached legal terms; this includes the related costs of legal representation. The same applies to claims made due to breaches of these terms and conditions. Damages due to endangerment of life, body or health incurred as a result of the neglect of obligations by Zalando or the premeditated or negligent carrying out of obligations by a legal representative or agent of Zalando. Other damages incurred as a result of gross negligence by Zalando or the premeditated or grossly negligent carrying out of obligations by a legal representative or agent of Zalando. Breach of the main duties, i.e. important duties such as those that must be maintained for the proper carrying out of the contract that the maintenance that the participants may regularly require, where the running of the contract would be endangered were they not maintained. Liability is limited in this case to damages which are typical and predictable within a contract. In the event of the applicability of the product liability law. These terms and conditions and the entire legal relationship between the participants and Zalando are the subject solely to the laws of Germany.